Very nice looking background, I love the whole scenery of it and also nice characters you choose from Tsubasa they fit in quite well. Keep it up! Hehe~ perfect background for that scan! Good choice. The only problem I have is with the type - that font doesn't go very well. 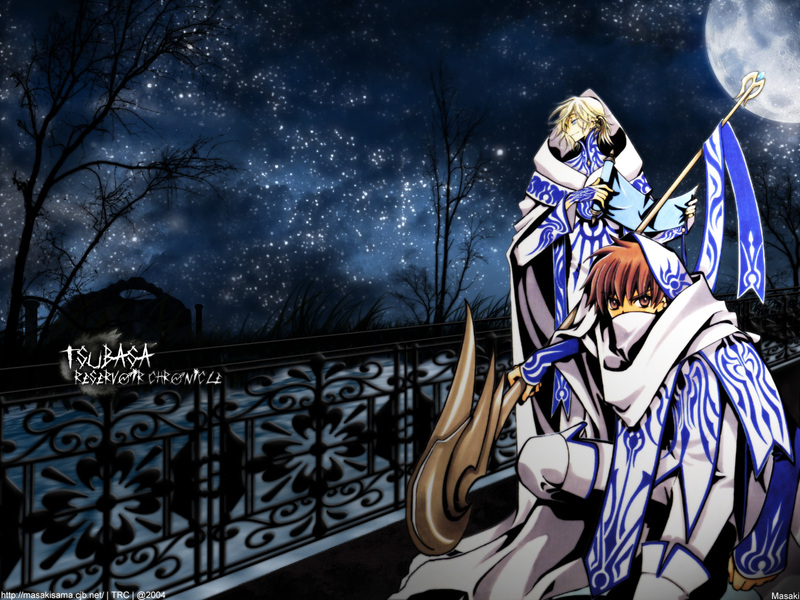 XD It's very sharp and jagged, whereas the background's dark and calming, and the characters are rather elegant. I'd suggest something more scripty or traditional. That background is great and those two just look so cool,it's a great scan! Great job!Finally, a Tsubasa wall that's not a scan!!! thanku!! 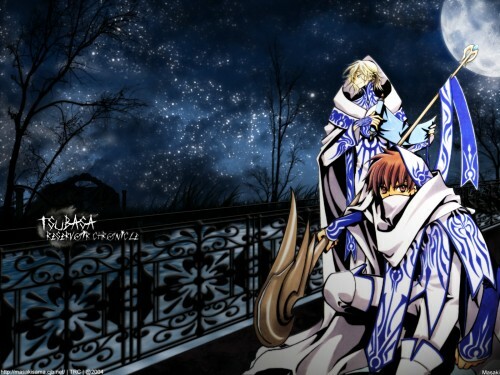 Luv the background, goes well with Li and Fai, they r so kewl! Loving this...The backround you created gives off the mood of magic and mystical...very nice. oooohhh another great tsubasa wall! Nice wallpaper! i really like it, the background is really nice and the characters look so nice too! Thanks for sharing! XD :D I'm gonna add it to my favourites! very nice!!! great job! i love it! the background is really nice! everything is nice!